I came across this on YouTube being read out by Maya herself – dramatic, powerful – there aren’t the words to describe the emotion and passion. If you find it you’ll know exactly what I mean. If you don’t understand then you have no soul. 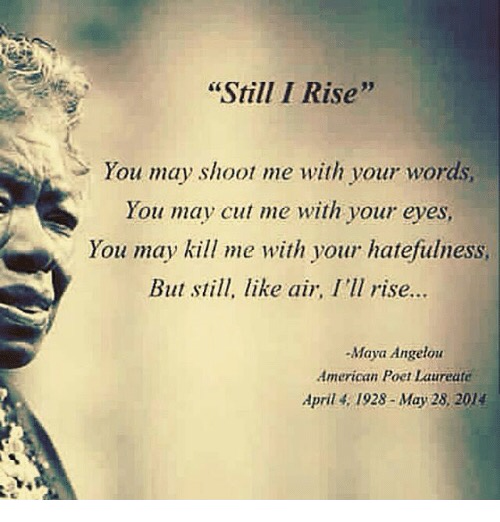 Or perhaps the only sole we have is that on the bottom of each of our feet which we should plant firmly on the earth and do as Maya Angelou did – Rise – and don’t be cowed by the powerful and tyrants.